Find out where to buy alcohol-free and non-alcoholic beer in the UK, USA and Canada. Until recently, you’d be lucky if you found one non-alcoholic or low-alcohol beer in your average shop. And then it would be hidden away on the top shelf, gathering dust. Now, thanks to large beer brands pushing their non-alcoholic options and craft brewers producing alcohol-free brews to rival their bigger-ABV equivalents, it’s easier to pick up non-alcoholic beers in the supermarket or convenience store. However, the quality and choice of the alcohol-free beers you find in the shops can still be a bit hit and miss. So you often need to go online to find the best tasting ones. Here are some of the best places to order alcohol-free beer and low-alcohol beer under 0.5% ABV on the web in the UK and the US. Love it or hate it, it’s hard to deny that Amazon is a great place to source most things – including alcohol-free beer. A lot of the alcohol-free beer on Amazon.co.uk* comes via breweries and retailers, meaning you won’t get free postage or Amazon Prime delivery on many items. Still, it’s a decent outlet for alcohol-free beer in the UK (and USA and Canada – see below), especially if you’re buying in bulk. Yorkshire-based Beer Hawk*, which is owned by global beer co AB Inbev, stocks a small selection of alcohol-free brews among its 1000-strong catalogue of craft beers and ales. Non-alcoholic beers are tricky to find on the website if you’re not sure what you’re looking for. But they do have a good selection of harder-to-find alcohol-free craft beers. So we’ll let them off. The website also sells an alcohol-free mixed case featuring pale ales, lagers, wheat beers and stout. People in their late teens are 20s are drinking less alcohol than they used to. One of these people is Mike Garland, founder of Light Drinks. He set up the online shop after discovering a glut of great-tasting non-alcoholic beers in Europe. The site sells more than 50 alcohol-free and low-alcohol beers, not only from Europe but also from UK producers. There’s also other non-alcoholic options such as wine, cider, sparkling tea and spirits. Wise Bartender* sells around 40 alcohol-free and low-alcohol beers online from its base on the edge of cider country in Wiltshire. Its founder Tom set up the company to mix his two passions – health and family. You can buy beers by the bottle or opt for taster packs of their most popular brews. There’s other non-alcoholic drinks too. If you’re out and about in the West Country, look out for Wise Bartender’s market stall and pop-up bar. Founder Stuart Elkington quit his job in the licensed trade to set up Dry Drinker when he stumbled upon a decent-tasting non-alcoholic lager on holiday and wondered why he couldn’t find any back home. 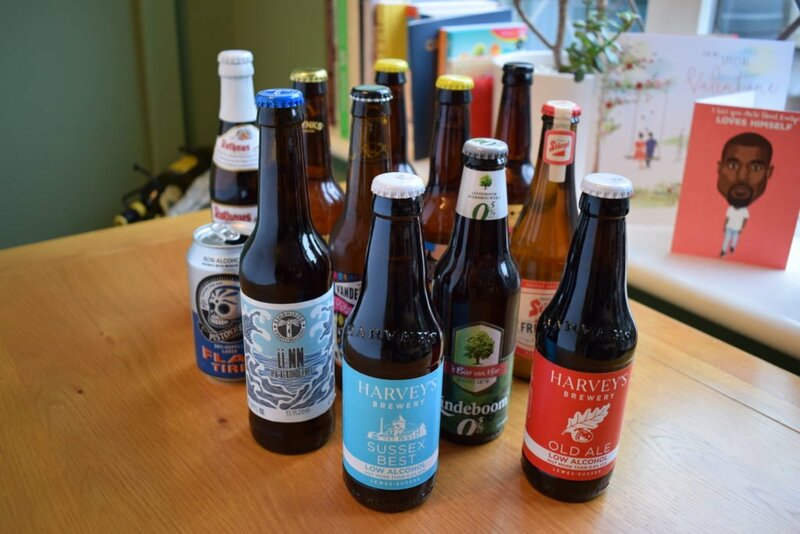 Several years down the line, the London-based online shop now sells dozen of varieties of alcohol-free beers plus alcohol-free wine, cider and spirits. As well as big brand alcohol-free lagers and beers from UK-based low alcohol specialist brewers like Nirvana and Big Drop, Dry Drinker sells an impressive selection of imported beers and lagers. You can build your own mixed case of beers if you want to sample a few or you’re not sure what to buy. John Risby and Christine Humphreys set up The Alcohol Free Shop in 2006. They have a physical shop in Manchester supported by their online store. The Alcohol Free Shop is a good option if you want to buy non-alcoholic beer by the case. It also sells mixed boxes of alcohol-free beer if you want to sample a few varieties. Wine, spirits and cocktails are available too. With probably the most attractive website of all the online retailers in this post, Heineken-owned Beer Wulf is based in the Netherlands but delivers to the UK. There’s a small range of (mostly rare) alcohol-free and non-alcoholic beers available, all with 24-hour UK delivery when you order before 4pm. This one is another Dutch retailer, which has a UK-based website. It offers almost 50 alcohol-free beer brands with a focus on brands from Germany and the Netherlands. Due to differences in licensing and shipping laws across states, it’s a little more difficult to buy non-alcoholic beer online in the USA. Whether these retailers can ship to you depends on where you’re located. The choice of non-alcoholic beers on Amazon.com* (and Amazon.ca*) isn’t quite as varied as Amazon’s UK arm. But there are a few beers available, which is handy if your local shop doesn’t stock any. 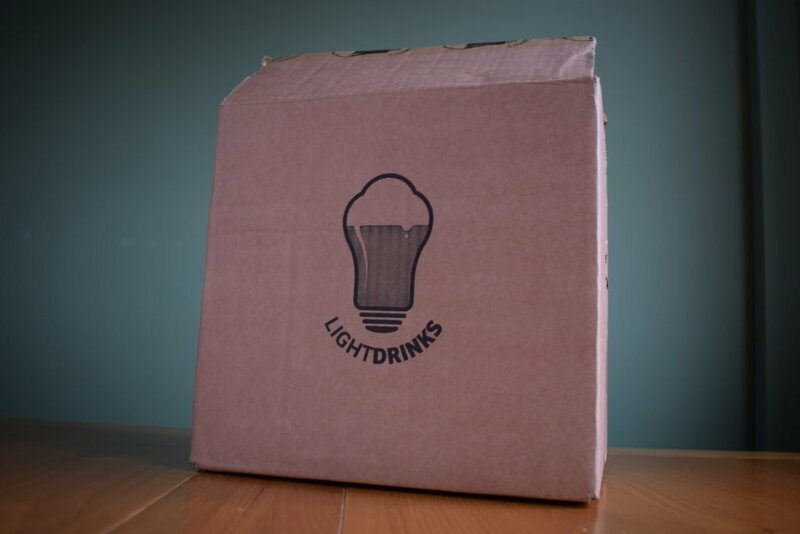 This online marketplace operates out of Atlanta, GA.
There’s a focus on quality drinks from small and independent producers with soda, kombucha and non-alcoholic spirits on sale alongside beer. Wellbeing is a specialist non-alcoholic brewery operating out of Maryland Heights near St Louis, MO. The brewery has three core beers – a coffee cream stout, an amber beer and a wheat beer – which are all available from its website shop. Athletic is another specialist non-alcoholic brewery. It’s run by founder Bill Shufelt and head brewer John Walker and based in Stratford, CT. Athletic sells its three core beers via it’s website shop. The beers are a stout, an IPA and a golden beer. The third specialist non-alcoholic brewery on this list was the US’s first. Bravus Brewing Co is based in Newport Beach, CA. Like Athletic and Wellbeing, it has three core beers – a stout, an amber ale and an IPA. You can buy all via its online shop. Partake Brewing is located in Canada and ships to Canada and the US. It also has plans to brew in the USA. The brewery has three low-calorie core beers – an IPA, a blonde and a pale ale. Where do you buy non-alcoholic and low-alcohol beer online? Have you used any of the retailers mentioned above? Thanks to Joe Callender (follow him on Twitter and Instagram) for the info on US outlets.